On Tuesday, December 4, the seventh and eighth grade basketball teams faced West Wortham. 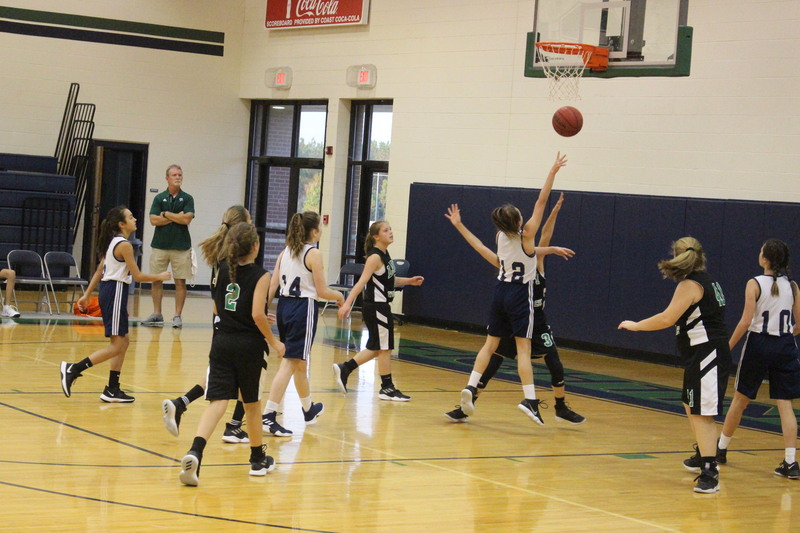 The seventh grade girls basketball team won 28-10, and players of the game were Jade Agler, Carsen Centanni, Mackenzie Mullen, Maycie Olier, and Grace Milligan. The seventh grade boys basketball team defeated West Wortham 21-16 last night, and player of the game was John Hay, who led the team with 12 points. The seventh grade team is now 2-2 on the season. The eighth grade teams were sadly defeated, but they should have a great rest of the season. The seventh and eighth grade teams will face East Central later this week, and they hope to see a lot of fans cheering them on in the stands!